How to Grow & When to Plant Shallots in Your Backyard Garden! Shallots can be used in almost all of your meals! Shallots are very similar to onions and add a flavor similar to green onions to your recipes. They are slightly smaller and tend to have more flavor than onions. If you like mustard, you’ll love mustard greens! It’s also one of the most beneficial things you can add to your diet to prevent cancer. They’ll thrive in cool weather and add a flavorful, spicy kick to your diet. This blog post talks about how you can grow your own mustard greens with our free From Seed to Spoon Mobile App. Beneficial nematodes enter pests through the skin and once they are inside they release bacteria to kill the insect. These nematodes do not harm ladybugs, earthworms, or other beneficial insects and are harmless to plants and humans. Beneficial nematodes help to control countless pests including fire ants, flea beetles, cabbage root maggots, corn earworms, cucumber beetles, onion maggots, white grubs, cutworms, and wireworms. How to Grow & When to Plant Your Own Brussel Sprouts! Brussel sprouts are a cool season, slow-growing crop. In warmer areas it is important to start these indoors so that they get a head start before it gets too warm. How to Grow & When to Plant Radish in Your Backyard or Container Garden! Radishes are a terrific vegetable to grow, especially if you have a time constraint or are impatient to begin to get your food! These fast-growing crops are a great addition to any backyard or container garden. How to Grow & When to Plant Turnips in Your Backyard or Container Vegetable Garden! Turnips are a terrific vegetable to grow, especially if you have a time constraint or are impatient to begin to get your food! 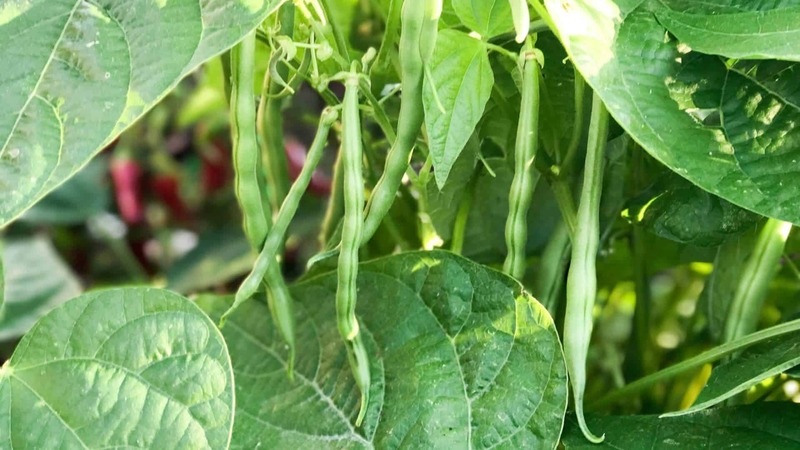 These fast-growing crops are a great addition to any backyard garden or container vegetable garden. How to Grow & When to Plant Cauliflower in Your Backyard or Container Vegetable Garden! Cauliflower isn’t something that we normally grow because it can be challenging, especially with our crazy Oklahoma weather conditions. If you’re up to the challenge, however, there’s nothing like home-grown cauliflower! Cabbage worms also love cauliflower, but they’re easy to manage. How to Grow & When to Plant Onions in Your Backyard or Container Garden! Onions are a fantastic addition to any garden! We use onions in almost all of our meals, usually sauteed with garlic. We also use the green tops to add a little extra flavor to mashed potatoes, soups, eggs, nachos, and much more! Download Our FREE iOS and Android App That Helps You Grow Food! Enter your information below to receive email notifications for new blog posts and events. You can help support us and spread the word about our free mobile app for growing food by buying a From Seed to Spoon shirt! Join Us for a Private Tour of Our Garden on April 28th at 2:00 pm! From Seed to Spoon is a participant in the Amazon Services LLC Associates Program, an affiliate advertising program designed to provide a means for sites to earn advertising fees by advertising and linking to www.amazon.com. Sign up for our email list to receive weekly email updates directly from our garden!